Good day to you all! First, I have some blog related news. Unfortunately, I have had to turn on the word verification for comments. As annoying as it is, the blog is getting several spam posts a day and I jsut don't want to spend ages deleting them. So, sorry about that. 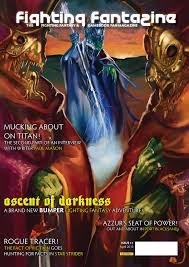 Here is an Advanced Fighting Fantasy related post. A lot is happening on that front. The first Blacksand books (now with new material!) are being shipped out today and the release of the second monster compendium, Out of the Pit 2 is imminent. 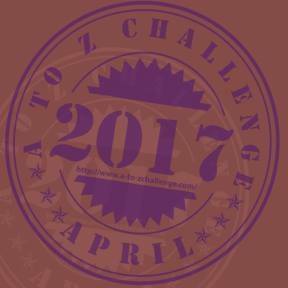 You can get updates about this and other AFF related matters on the forum. Speaking of monsters for Advanced Fighting Fantasy, here is one that was inspired by a show from the Binnall of America podcast. A lot of my inspiration for gamebooks comes from podcasts about conspiracy theories, paranormal reports and paranormal experiences. One paranormal report that fascinates me is that of the shadow people. This was first bought to my attention by Jason Offut in his interviews on Binnall of America (you can find them here and here). One version of the shadow people is that they come to people as they sleep, sometimes prevent them from moving, terrify them and then drain life from them. This seems like a pretty freaky experience. You can read about encounters with shadow people here. Here is some AFF stats for a shadow person. WEAPON: Draining touch, deals 3 stamina points of damage with each hit. Non magical armour does not reduce this damage. SPECIAL: Aura of terror: If a shadow person activates this ability, all mortal creatures in a 5 metre radius of a shadow person will be overcome by a sense of terror and must all test their luck. Anyone who fails will be unable to move through terror for as long as they stay within 5m of the shadow person. This ability is very powerful and drains 6 magic points from the shadow person for every minute or part of a minute that they use it. Immune to non magical weapons: Normal weapons do not harm a shadow person. Reducing a shadow person's stamina to 0 merely banishes it from the mortal realm. Planeswalk: Shadow people can move between their realm and the material realm. This requires 6 magic points and 10 minutes of preparation time. Weakness to holy light: If a shadow person comes into contact with holy light (such as light from the ability of a priest of Glatanka), they will have their skill reduced by 2 and lose 1 stamina point per combat round. They will also not be able to cast any spells or use their aura of terror or planeswalk special ability while in the light. Banishment: Shadow people can be banished back to their realm if certain gods or spirits are invoked but this is difficult. Only a character with either Religion Lore and/or the Secret Signs skills can do this. They must make a check which can use the bonus to Religion Lore and Secret Signs. Priests of good gods get a further +2 bonus.However, there is also a -4 penalty because it is very difficult. If the player succeeds, the shadow person is banished. If the player fails, then they will be affected as if they had been afflicted by the aura of terror for 1 minute. 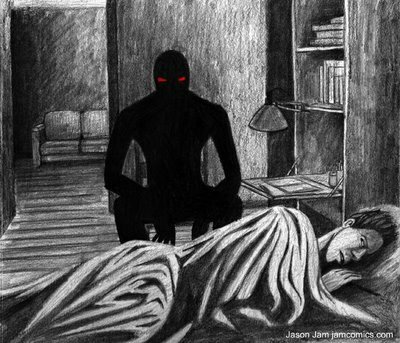 A shadow person will find someone alone and asleep. They will cast the restrain spell upon them and then, just because they are sadistic and evil, they will wake the person up and cast the fear spell upon them so that they are both paralysed and terrified as the shadow person drains their stamina. A shadow person will never kill in this way. They will drain half of the victim's current stamina rounded down. If a shadow person is set upon by multiple opponents, they will try to use their aura of terror ability or try to fly or teleport away. Wizards have tried to summon and control shadow people for centuries in order to utilise their power and knowledge for they know of many unearthly things. Such summonings are likely to end in disaster as shadow people are malevolent and cunning. A magic user who tries such a thing is a fool. This sounds related to the "old hag" phenomenon, which is actually just natural sleep paralysis mixed with dreams. People believe an old hag is pushing down on their chest while they sleep. There's a great Twilight Zone episode on youtube called The Shadow Man that is probably drawn from this myth.